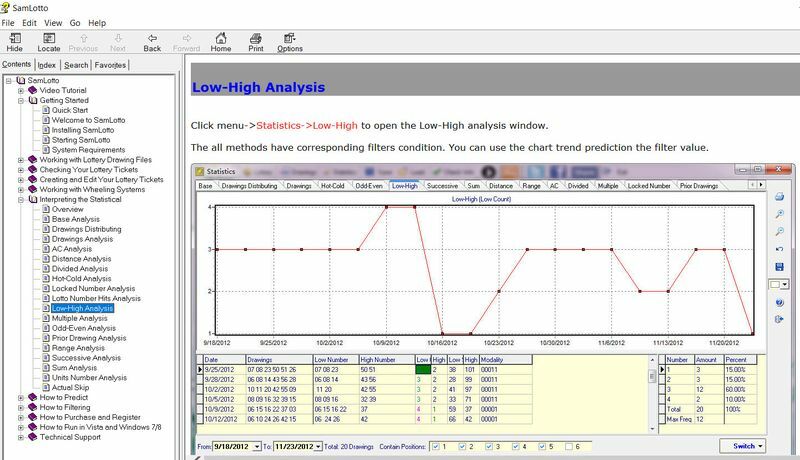 This is a poorly designed software that is confusing, takes an intolerably long time to give you an inaccurate prediction and comes with a ridiculously high price tag! This is further compounded by a non-existent customer support! 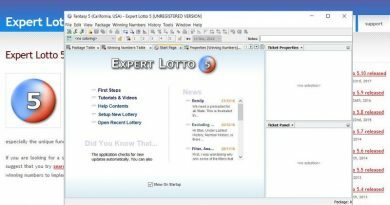 It is clear that you should avoid using SamLotto software. 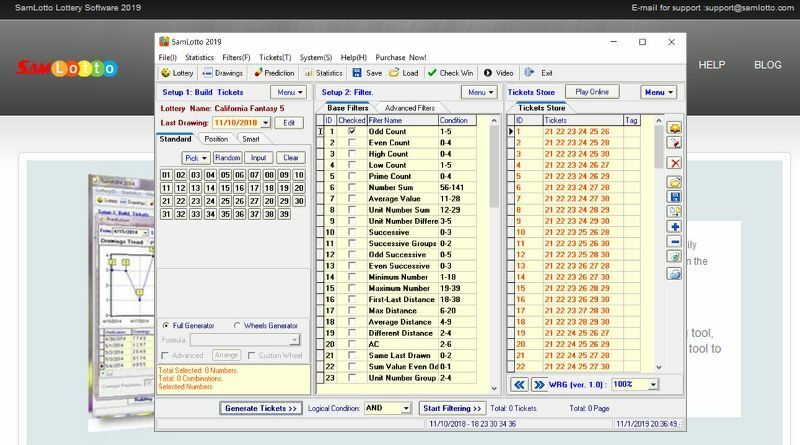 We downloaded, installed and tested the demo version of SamLotto Version 10.8.1.1 (released in November 2018). 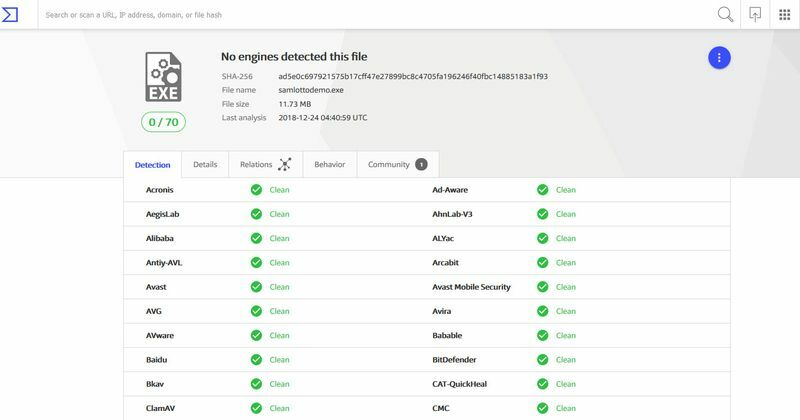 SamLotto can be downloaded from the SamLotto website and the scan at VirusTotal shows that the installation file is clean. The main window of SamLotto looks cluttered with too much information but we manage to select the California Fantasy 5 game. The statistics window is also not well-designed and it is extremely confusing. Those are the exact wordings and I wonder how many people in this world can figure out what it says! 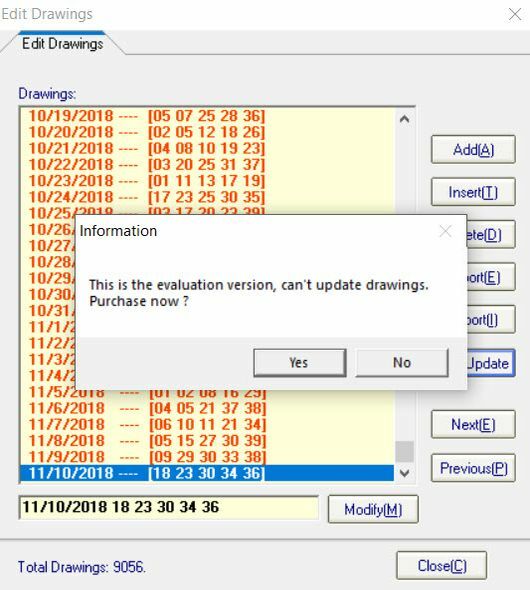 The demo version does not allow us to update the draw results and the last draw in the data file is for the draw on 10 November 2018. Next, we tried the Prediction function and upon clicking the Prediction button, the software seems to “hang”. We waited for over 10 minutes before the predicted numbers were displayed. 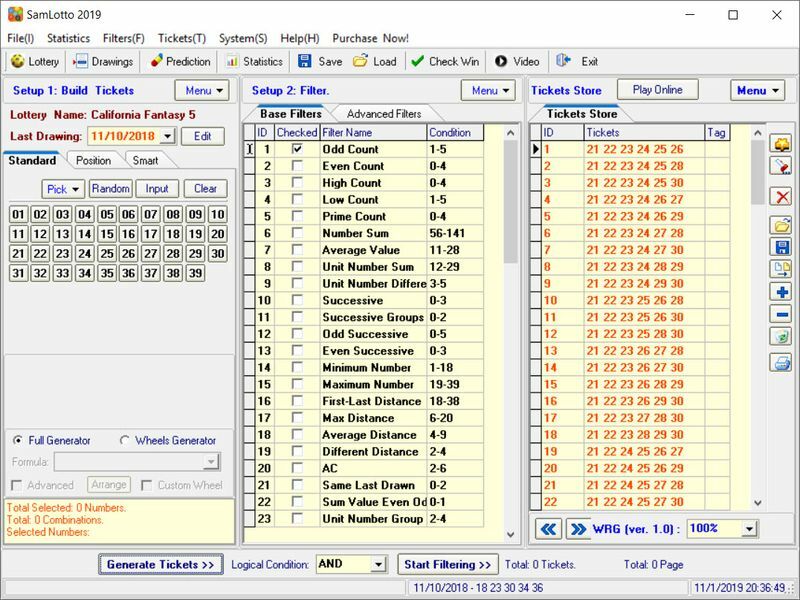 The prediction provides a reduced set of 14 numbers in total. We tried generating the tickets but we were unable to do so. The demo version does not allow us to select more than 10 numbers while we have 14 predicted numbers. SamLotto allows you to save any generated tickets and you can also load the tickets back to check your tickets later. There is a print function to print the tickets but it is merely to print to your printer paper and not the actual playslips. We further tested uninstalling SamLotto. 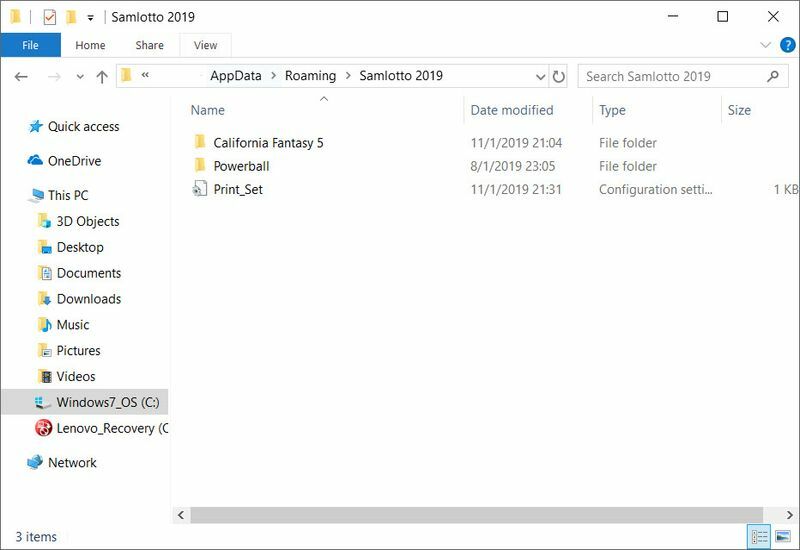 Some of the SamLotto files can still be found in the user’s data folder even after the uninstall has completed. We did not find any traces of SamLotto in our Windows registry. 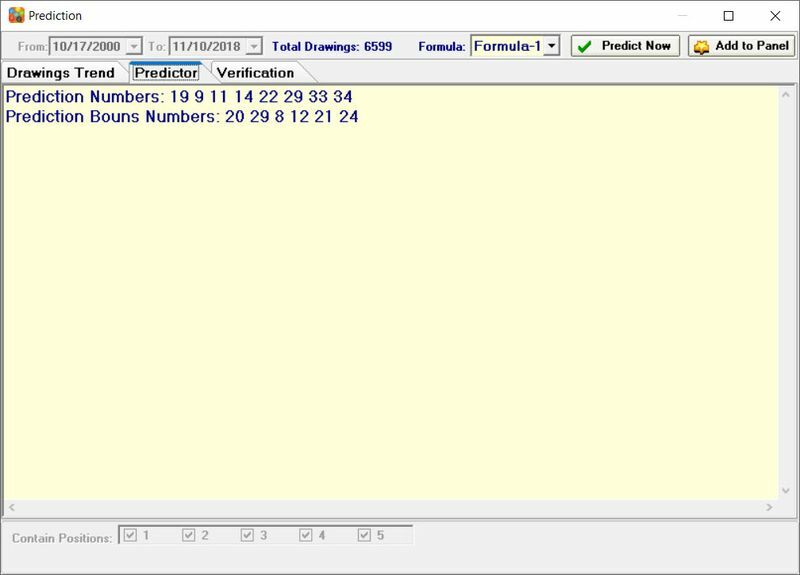 As the last draw in the SamLotto data file is on 10 November 2018 as shown in one of the above screenshots, the prediction will be for the draw on 11 November 2018. 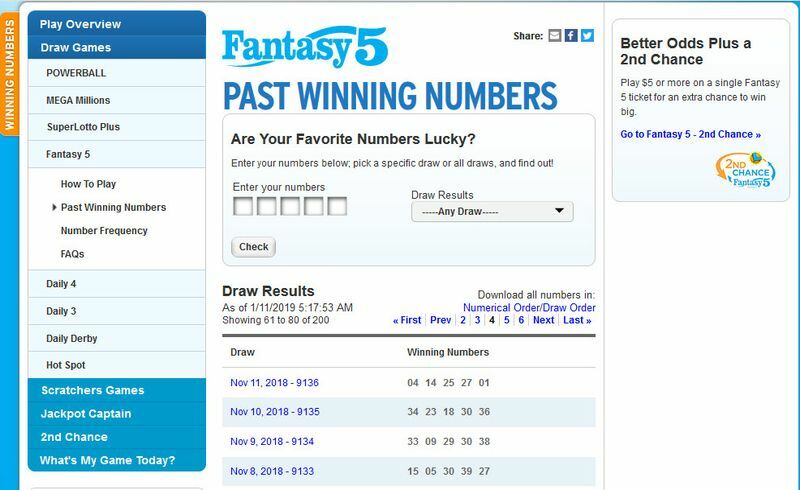 When we check the 14 predicted numbers versus the actual drawn numbers for California Fantasy 5 on 11 November 2018, we only find 1 single matching number! SamLotto is way off the mark! 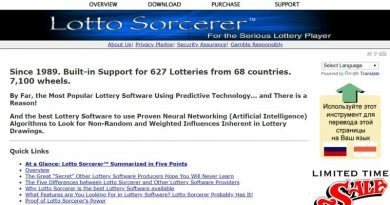 SamLotto software supports over 200 lottery games in many countries around the world. 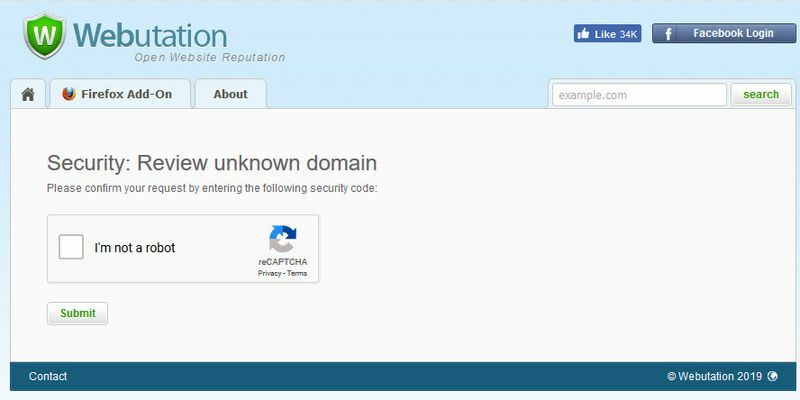 The reputation of the SamLotto website at Webutation is strangely shown as “unknown domain”. 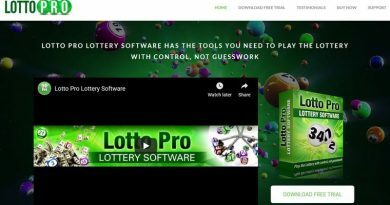 We could not find any version history for SamLotto software in their website but based on Google, the first version was released likely before 2014. SamLotto is not digitally signed with a code-signing certificate, at least for the demo version. SamLotto is priced at a hefty $169 and we are unsure about any annual renewal, subscriptions or future upgrade fees as we did not receive any response to our queries. Their support is non-existent as our email has not been answered after 5 days!